Community Blog by FAILCAST // Failcast episode 17 records tonight! Leave a question, then enter our swag contest! Failcast episode 17 records tonight! Leave a question, then enter our swag contest! 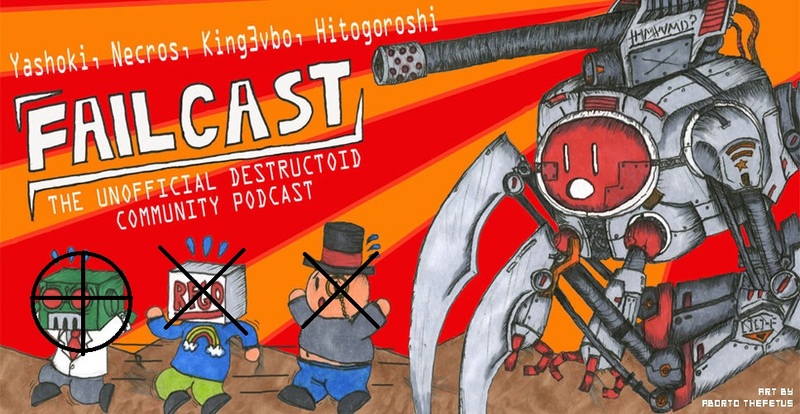 So, Failcast is recording another full episode, this time with community member Agent Moo at our side. But what do we need from you? Questions, of course! As usual, no firm topics of discussion, but feel free to ask whatever is on your mind. Also, tonight is the last night to enter our PAX Swag Contest. When we start recording the show, that's the deadline, so get your last minute entries in soon! Details can be found here and you can enter here. Remember, you're competing for a ton of posters, hand-outs, a Fallout 3 Survival Guide, and other random fun stuff! Runner-ups get a Battlefield Heroes poster too! So let those questions fly in the comments and go enter the contest while you still can!